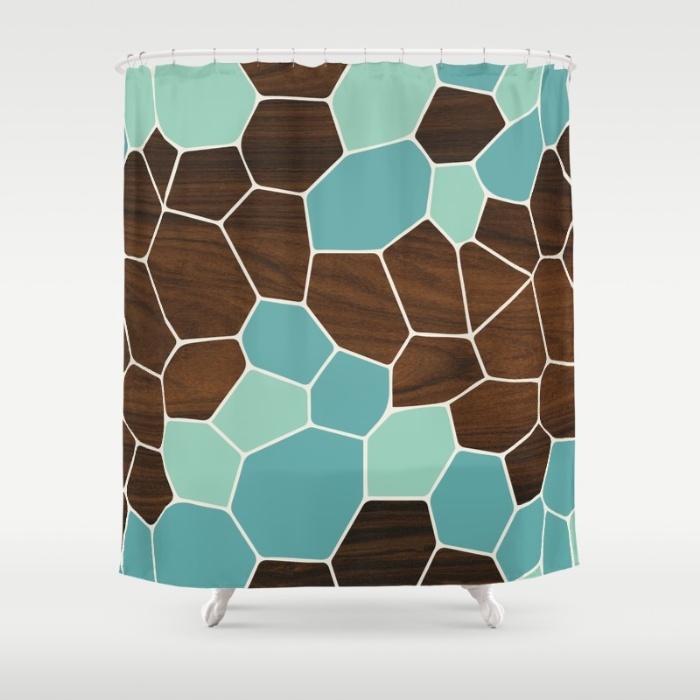 Multi-colored blue geodesic shapes are scattered throughout this vibrant design. makes a stylish modern seating accessory. Pillow insert extra. Price starts at $20. 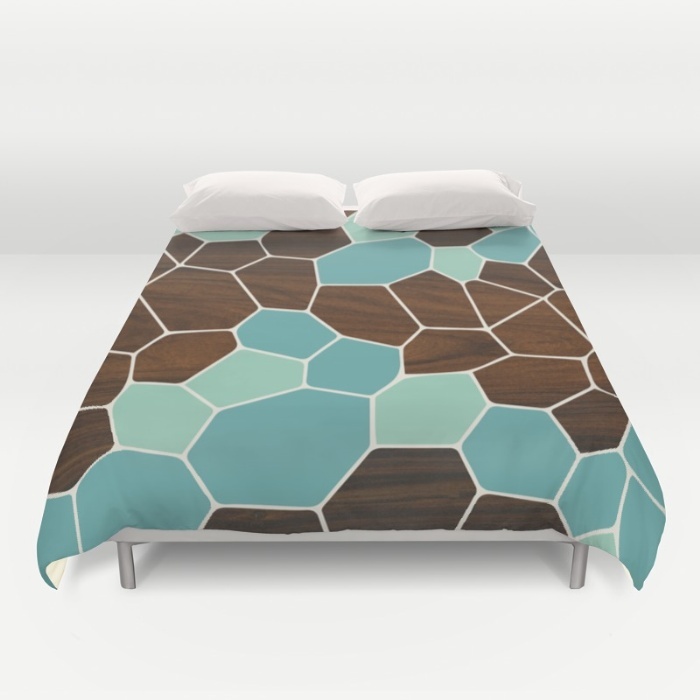 Rich rosewood grain pattern fills the web of negative spaces between mineral formations. 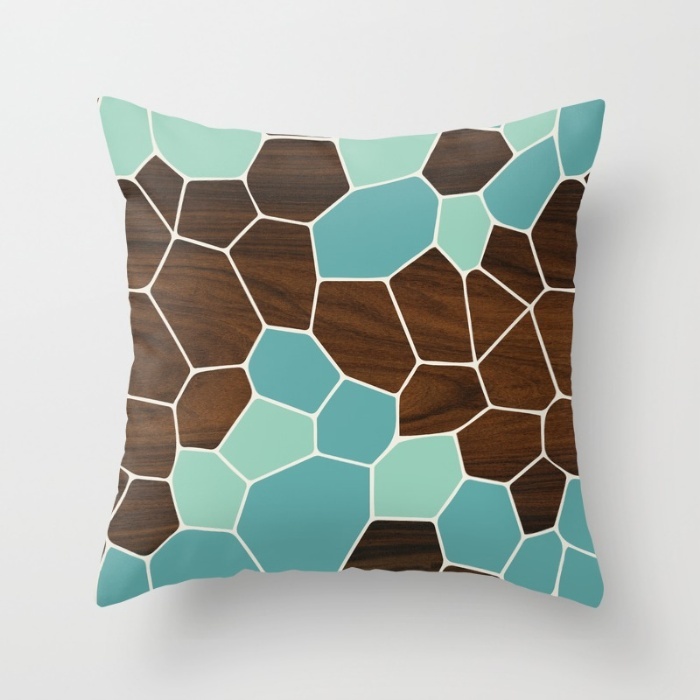 makes for an organic, modern gem and a stylishly modern throw pillow. 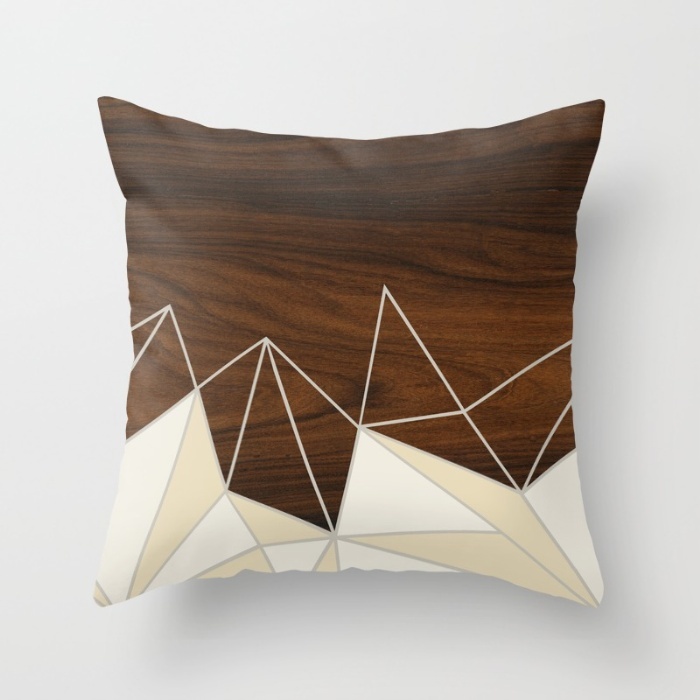 Individually cut and sewn by hand, the pillow cover is offered in 3 sizes, and features a double-sided print and is finished with a concealed zipper for ease of care.